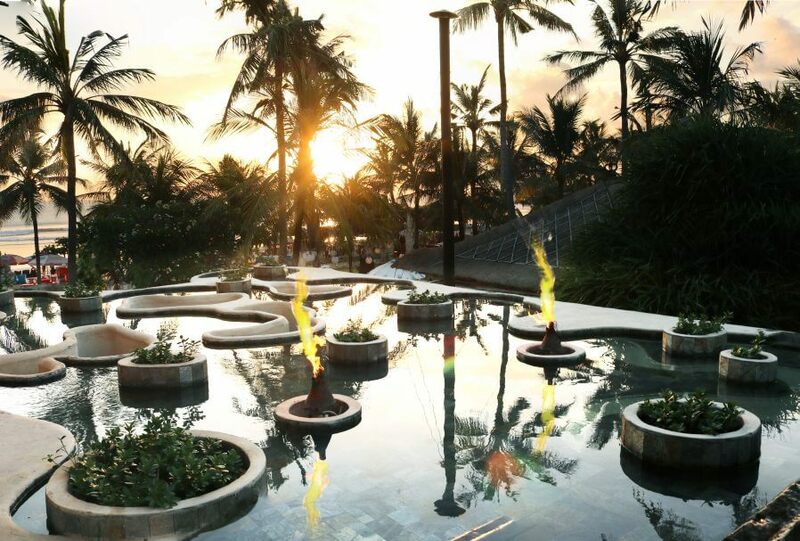 Mandira Spa and Boutique is located nearby the beach which offers an impressive view over the ocean. In the evening the sun submerges into the sea with the building becoming part of this beautiful daily event. This combines the power of fire with the cool movements of water. 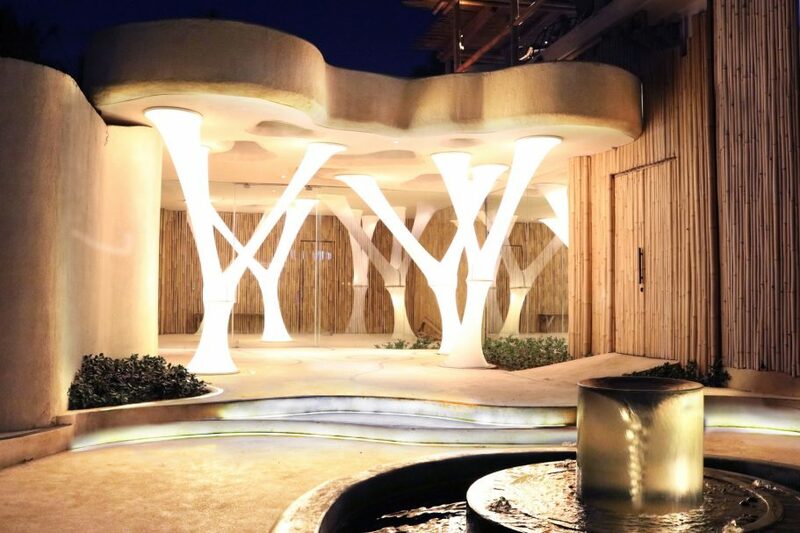 Stretched Parrisol membrane mixed with bamboo, colorful lights and soft green scenery create a symbiotic relationship between the building and surrounding beach club and hotel. 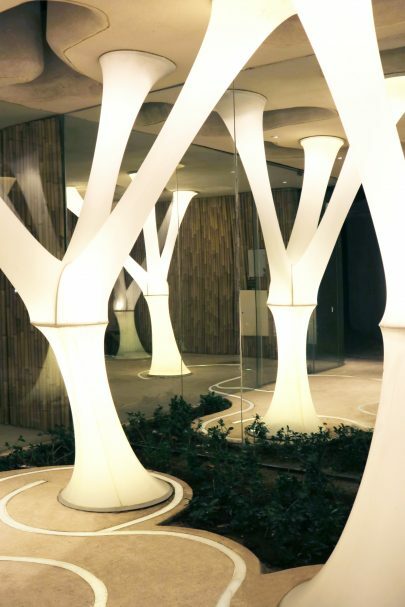 Organic illuminated members which appear to support the structure, glow like aquatic lifeforms, creating a strong identity and uniqueness to the space. The interplay between the spaces and a cooling lime rendered floating pond, merge inside and outside with openings through the roof, bringing light and watery reflections inside. At night, flame torches dance through the calming roof pond. This itself keeps the building cool while offering a tranquil view from the upper levels of the adjacent beach club. 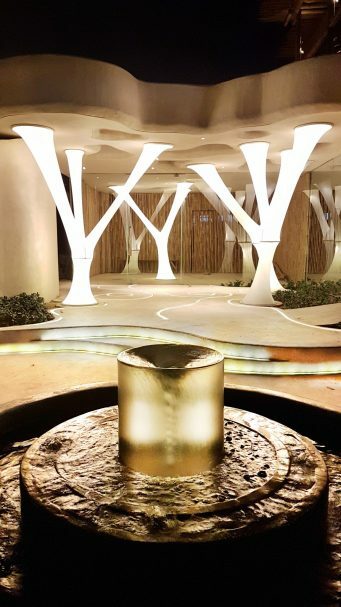 In front of the building, at the junction of routes between the beach club and hotel, sits a vortex fountain bringing energy and spectacle while capturing the light from the surrounding area.